LEAD Advogados is a full-service law firm, which aims to provide a first-class legal service. The team has extensive experience in the Angolan legal market. The partners at LEAD Advogados moved away from a reputed law firm to create this new and ambitious practice. The team's deep knowledge of the Angolan legal market, its specificities and challenges, enables it to assist clients in an efficient, cost-effective and responsible manner. 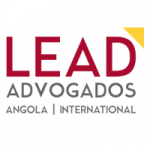 LEAD Advogados seeks to assert itself through high-level legal services and expert advice, to assist clients based both in Angola and internationally. All members of the team are dynamic, with a high sense of integrity. The firm expresses the right balance between experience and a desire to be different. Its lawyers are fluent in Portuguese, English, French and Spanish.